We’ve joined Google + in our millions – with a reported 20mill signing up to the service. Despite a blip last week when Google started deleting anonymous accounts, the reviews have been positive and techies have effusive. But, news this week has been a little chiller with the service reporting a 3% fall in usage. It’s not much, but at this stage you’d expect traffic to be only increasing. 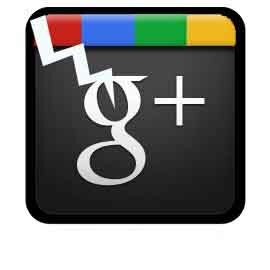 No-one’s writing it off, and of course, the site is still in beta, but we’re interested to hear what you think about it..
Are you using Google Plus as much as you did at the start? Christian Hackers: Who they are, What they do.. Outstanding post, this is very similar to a site that I have. Please check it out sometime and feel free to leave me a comenet on it and tell me what you think. Very informative post.tips provided here is Really very useful for me but i still thing G+ links appear on SERP. I’ve read your things before and you’re simply too awesome. I enjoy what you’ve got the following. You are making it entertaining but you just have the ability to ensure that it stays wise.This really is a classic great blog thank you for discussing. You need to add another option. yes, i am useing the Google+, so far, everytihng is ok. what do you guys think? I’m so disappointed with Google+, but I think it is primarily because I’ve got so few people on it! None of my friends are techies, so they weren’t in the first wave and it will take a great deal to get them to switch from FB. Additionally, I’m guessing they don’t have the time to post on both. I had such high hopes and am still hanging on to them!